Fact: cargo bikes are cool. Fact: cargo bikes are a great way to go cycling with little kids. 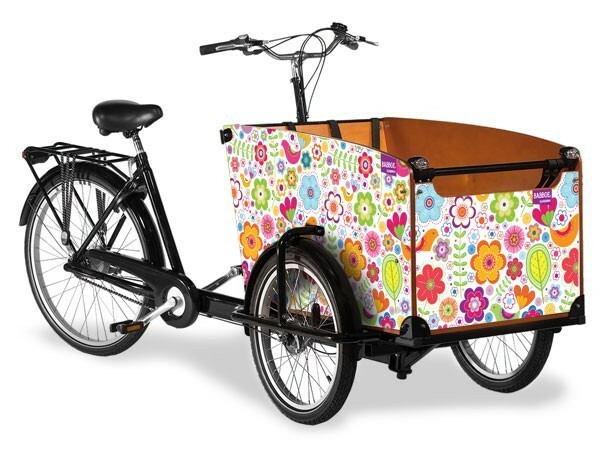 Fact: We’ve just uncovered the prettiest cargo bikes ever. We have quite a number of readers who are cargo bike-devotees – it’s certainly a nifty way to get about if you have little kids on board. Babboe, based in the UK, have cargo bikes that can be customised with your own design (or you can choose one of their stunning patterns). The designs are essentially UV and weather resistant decals applied to the wooden cargo carrier box. I love the bright green floral and the red and white gingham, but my favourite is the thoroughly-Dutch Delft blue design (above). 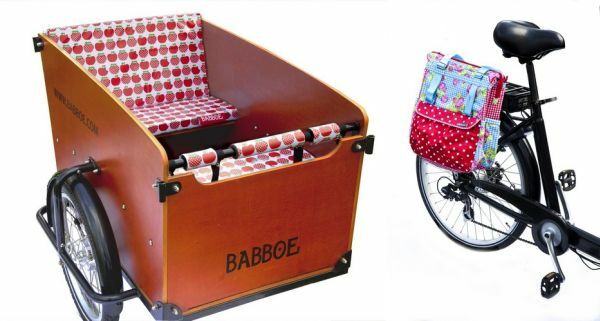 To deck out your cargo bike in complete style and comfort, Babboe also offer lots of cargo bike accessories including baby and toddler seats, colour co-ordinated seat cushions, bike bags and more. Now I know many of our readers are already picking patterns but unfortunately Babboe only ship within the United Kingdom. Whilst a £1249 cargo bike might be a big ask for a freight forwarder, the gorgeous bike bags and cushions may be manageable! For cargo bikes closer to home, check out our previous posts including the Trio, the Dutch Cargo Bike and the Taga.